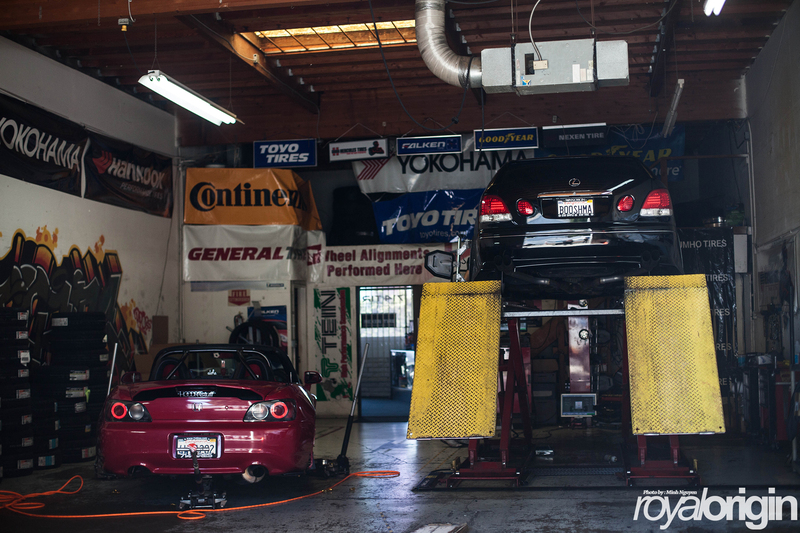 A very important thing to check before a long road trip is your alignment and tire wear. 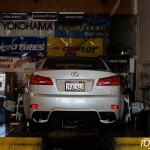 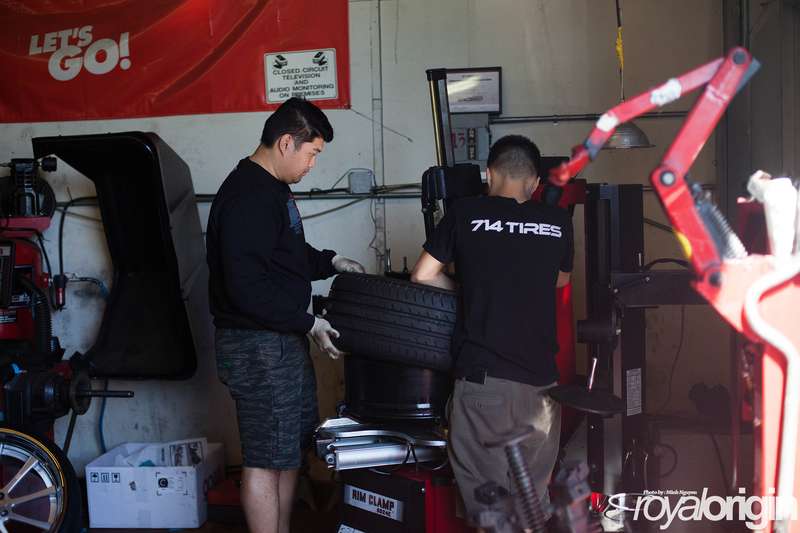 Thankfully, we have the good guys over at 714 Tires to help us prepare our cars for the long trip to Las Vegas. 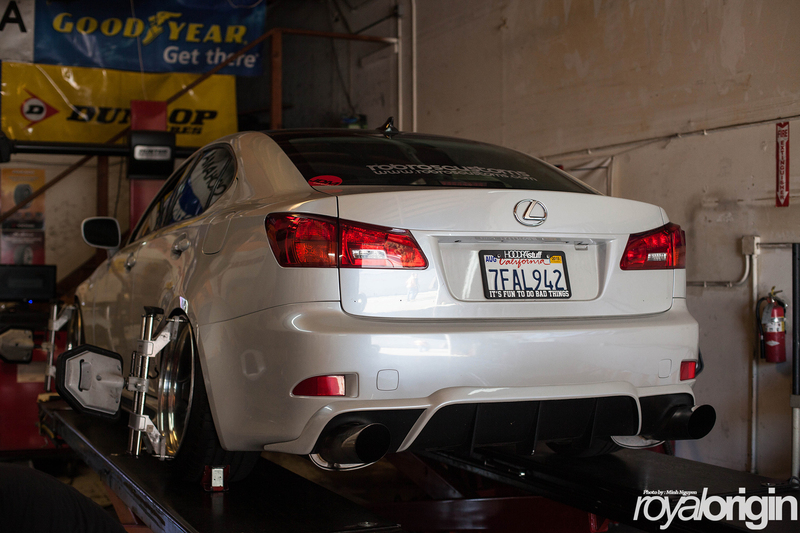 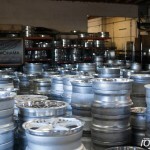 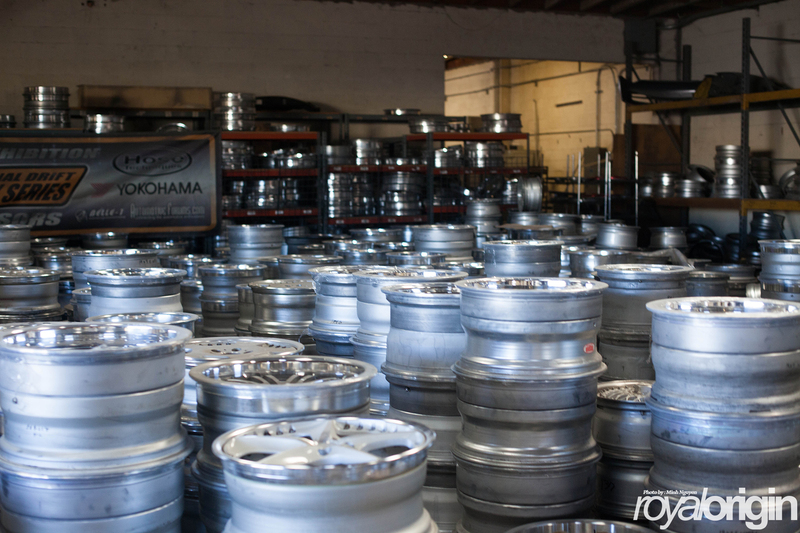 They are one of the few shops in Southern California that work on slammed cars. 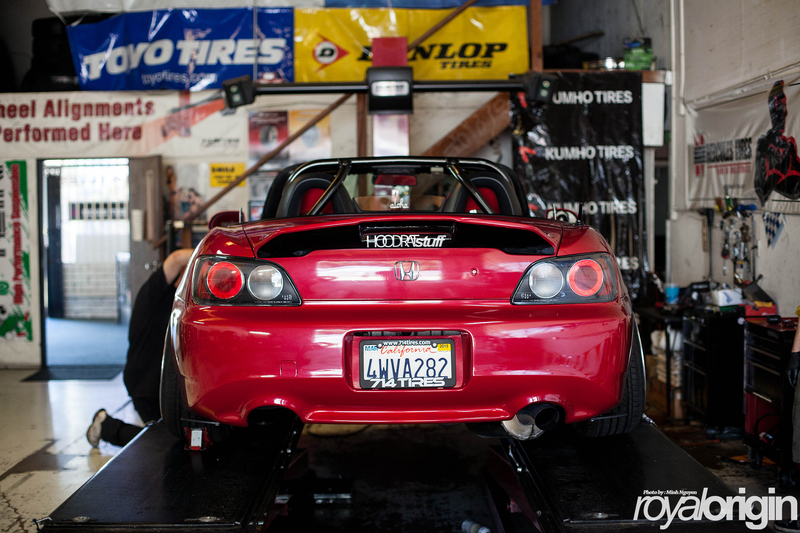 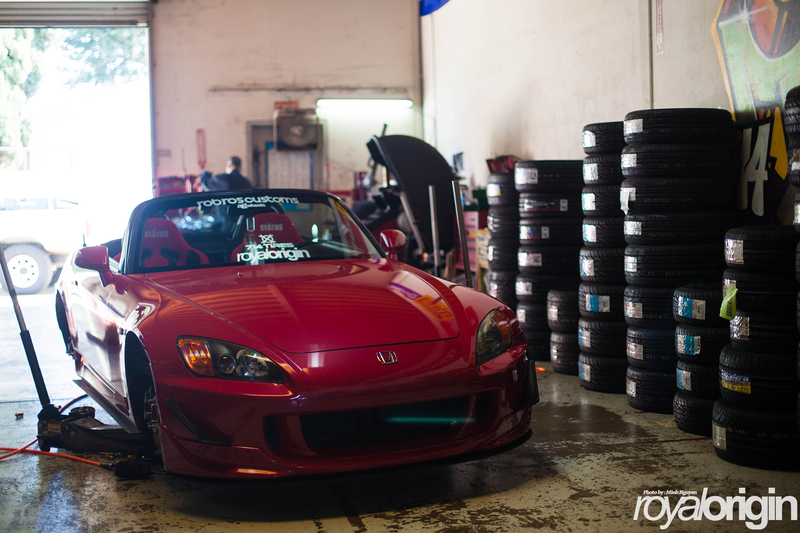 Kevin’s S2000 getting his tires flipped. 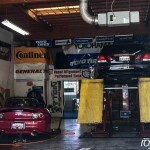 Derek getting his GS an alignment. 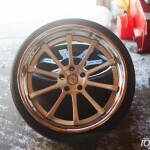 Kevin’s Avant Garde A1 wheels are for sale by the way. 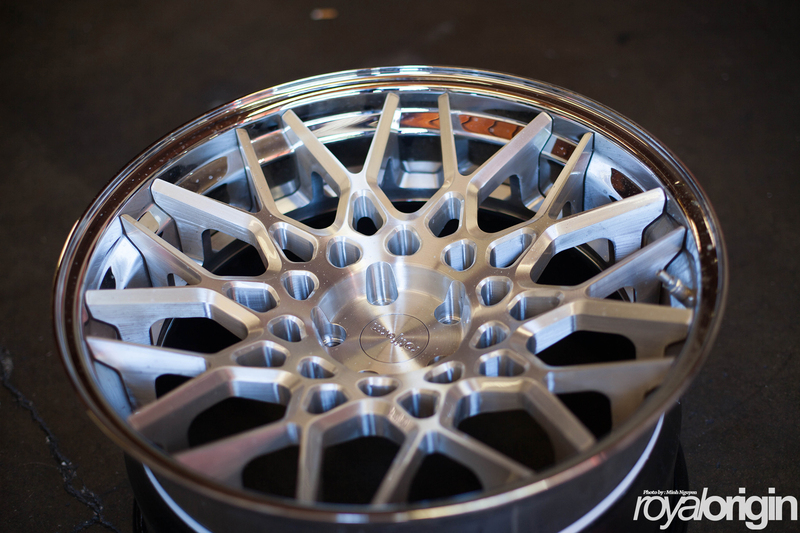 Email us at royalorigin@royal-origin.com for a price. 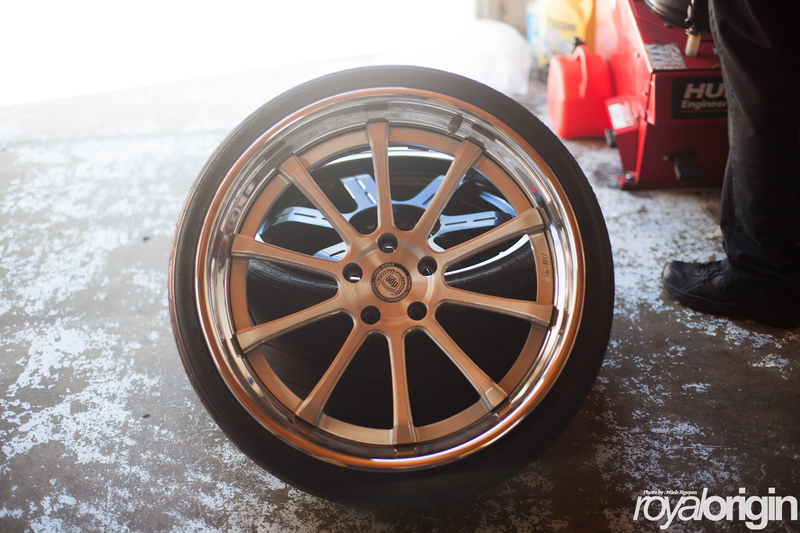 One of a kind wheels. 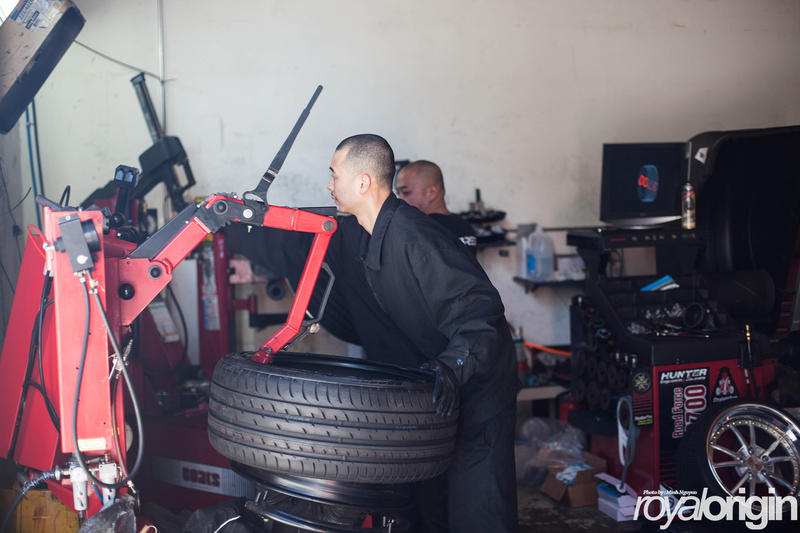 DPE wheels getting some tires dismounted. 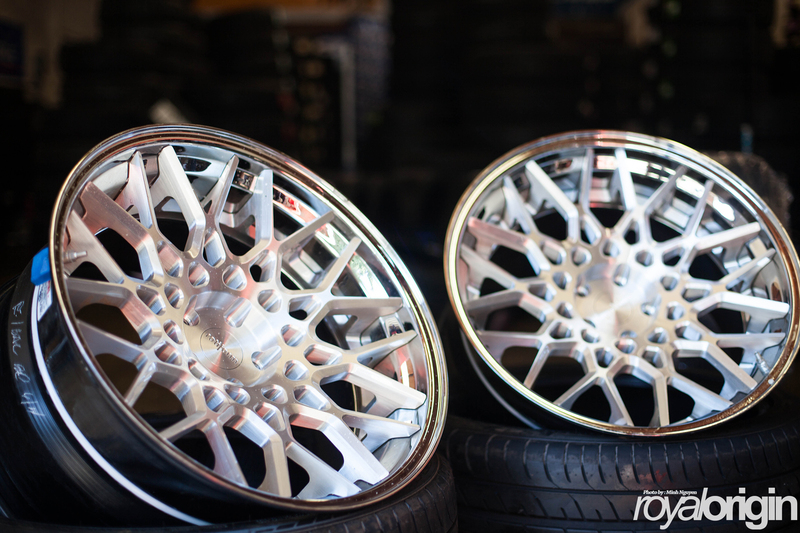 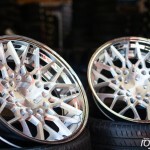 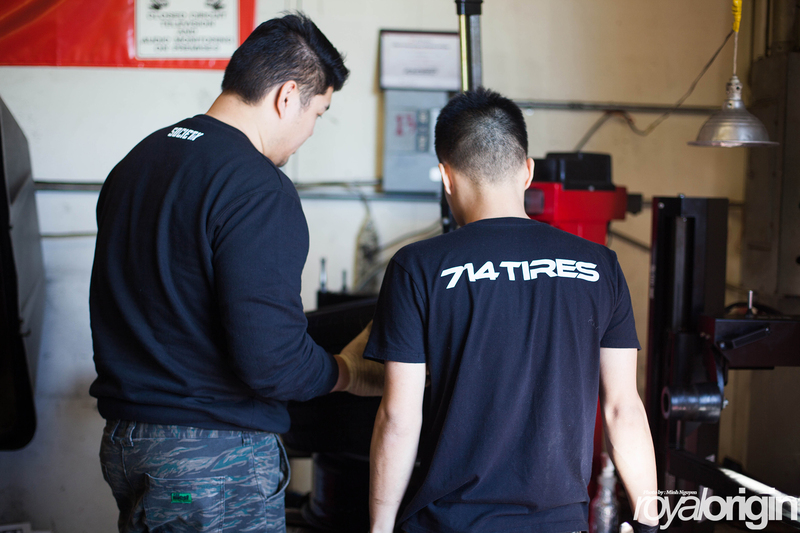 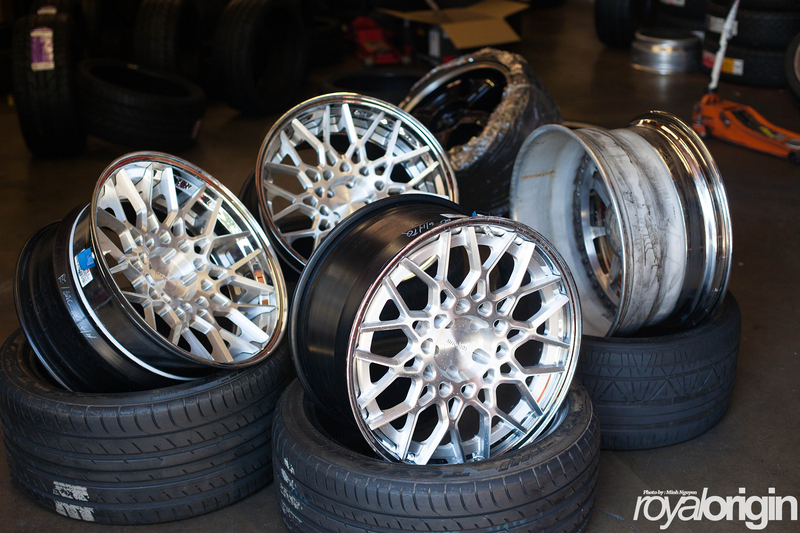 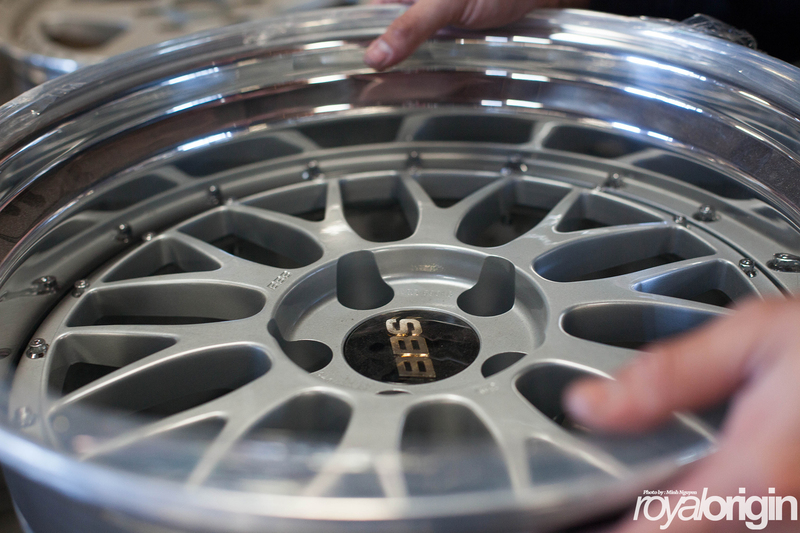 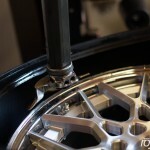 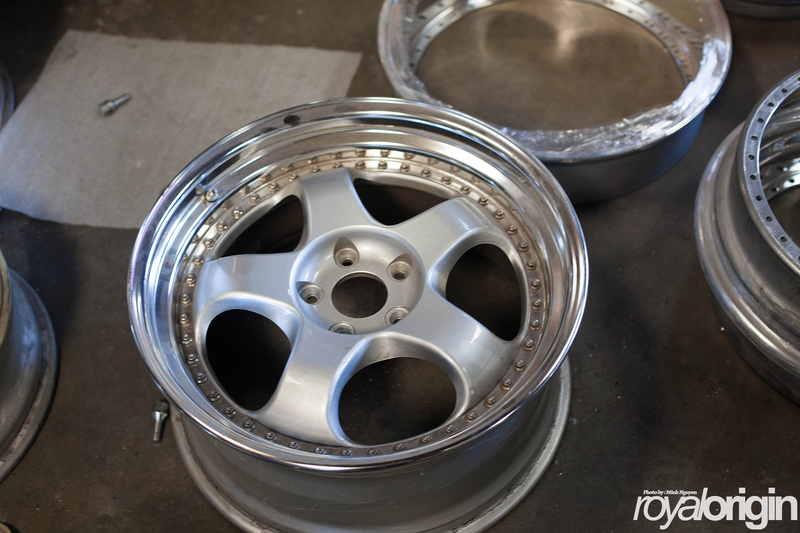 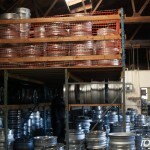 714 Tires handles a lot of expensive wheels, so they know how to work on your wheels without damaging it. 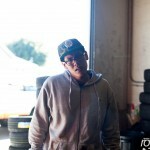 Lee one of the owners of 714 Tires putting in work. 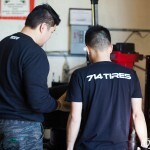 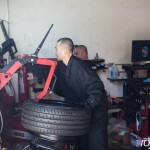 Vinh helping out David, the other owner of 714 Tires with dismounting tires. 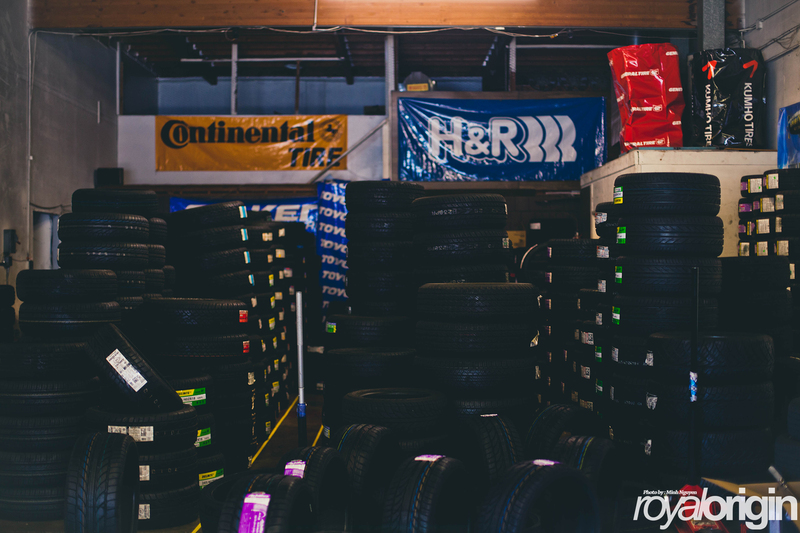 It was a Royal Origin type of morning for 714 Tires. 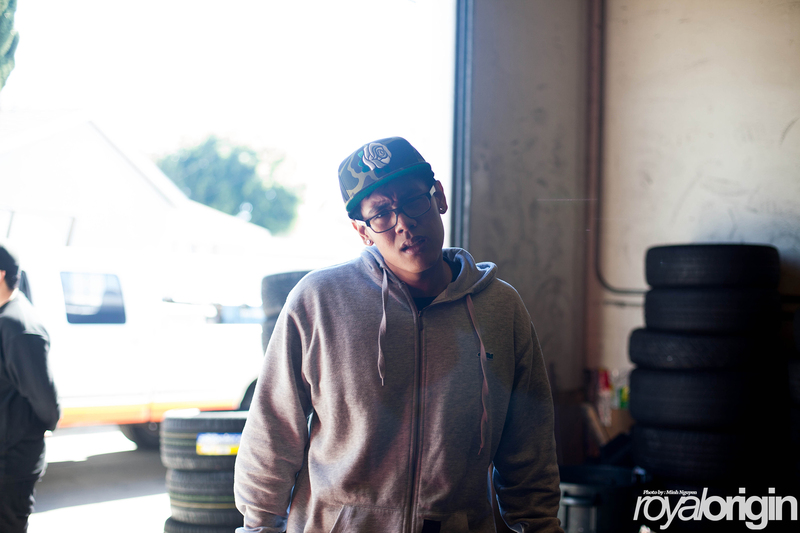 How Derek’s face is after an alignment. 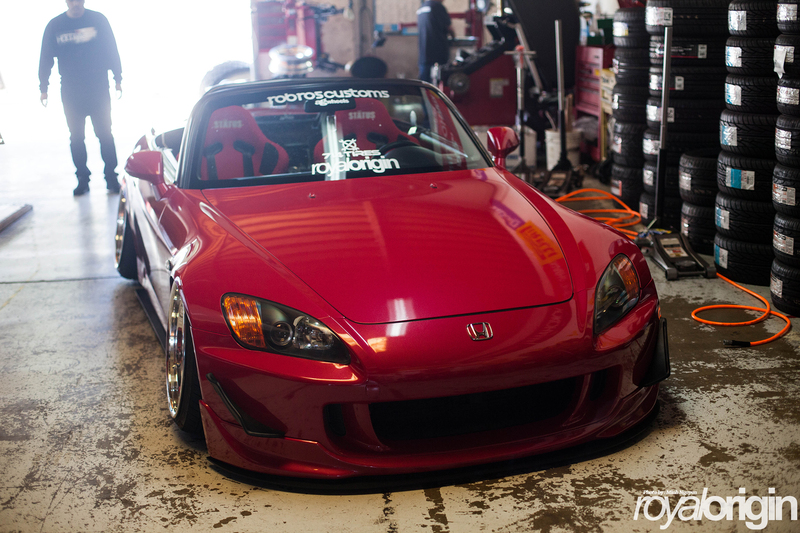 Stunned, happy, mad, sad not really sure. 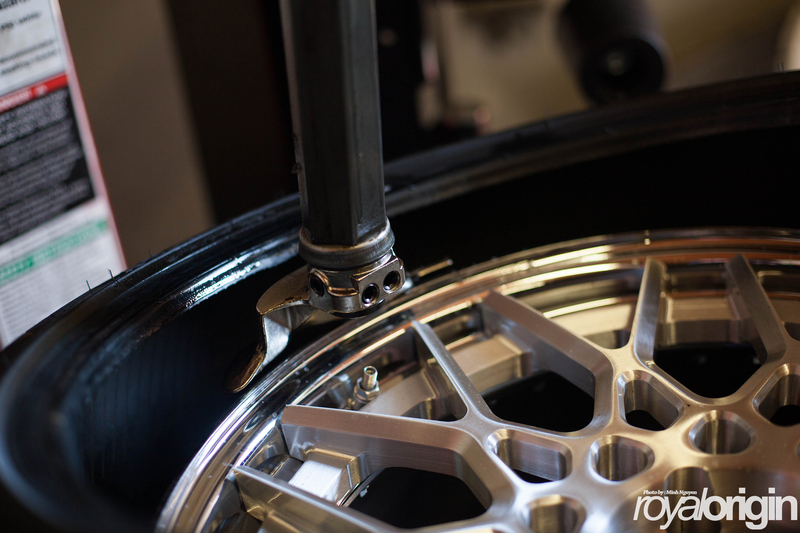 I changed my ride height, so the toe was a bit off. 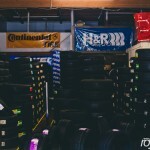 Thanks to 714 Tires everything was in spec and ready for Vegas. 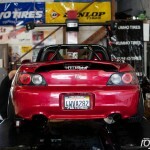 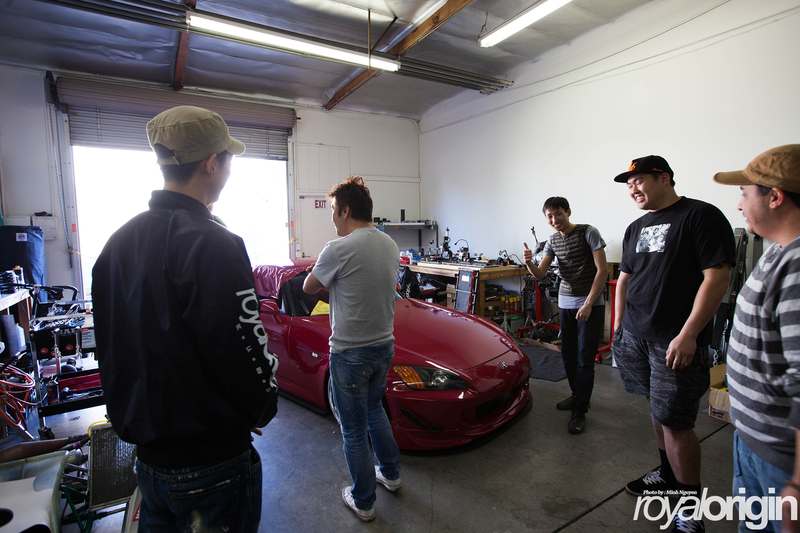 Afterwards, we took Kevin’s S2000 and his new hardtop back to Robros Customs to get it wrapped. 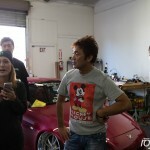 Liberty Walk GTR coming soon..
Out of no where a wild Kato appears. 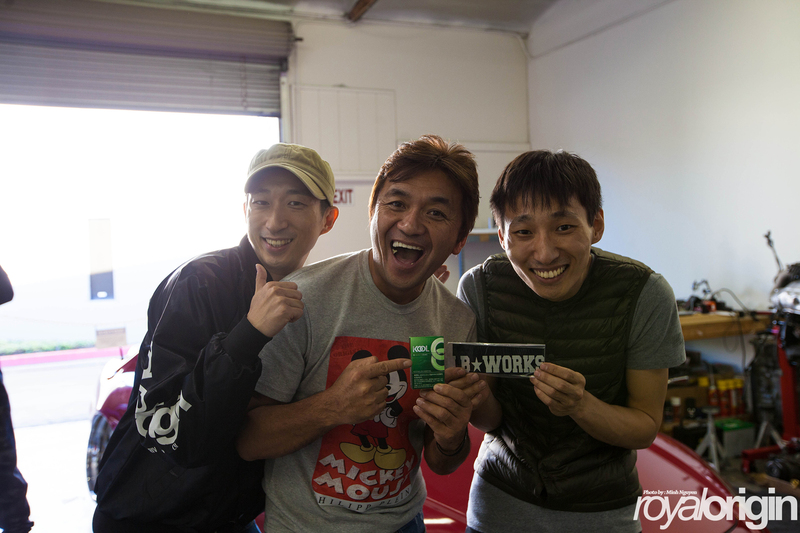 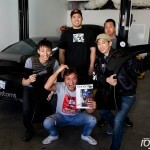 Kato from Liberty Walk came by to check on the Robros Customs GTR. 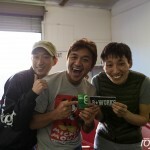 This guy is really fun to talk to and thank you to Anna for translating. 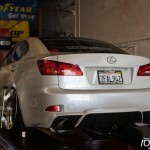 Checking out Kevin’s wrap job. 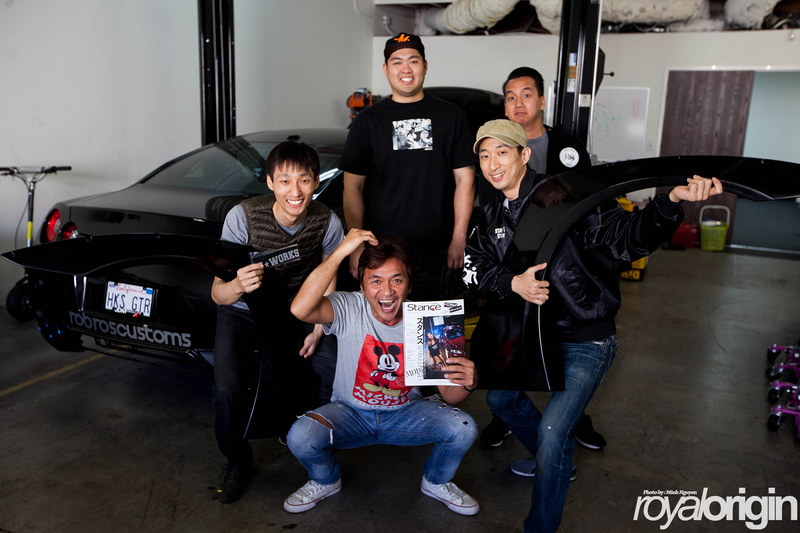 After that meeting, me and Vinh had to go to City of Industry to pick up a hood from Seibon and while we were in the area, we decided to see if VR wheels had anything cool going on. 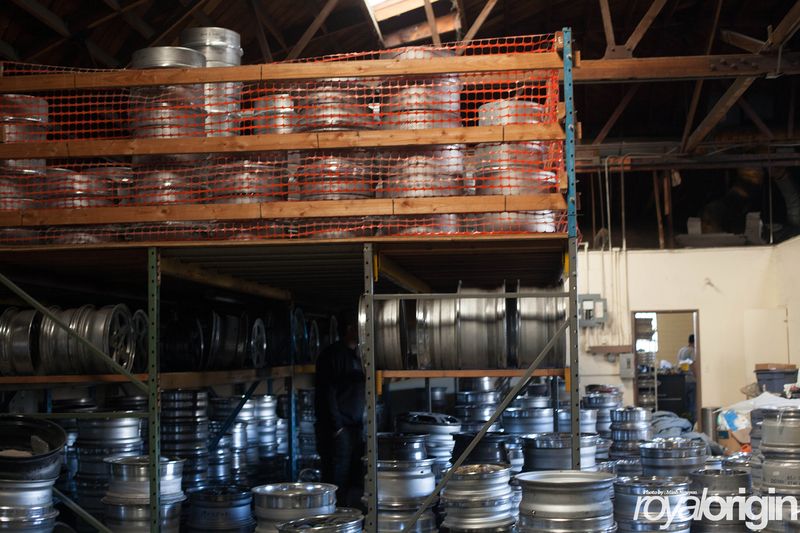 They always have some fire in their ware house. 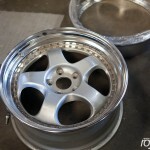 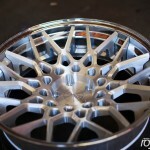 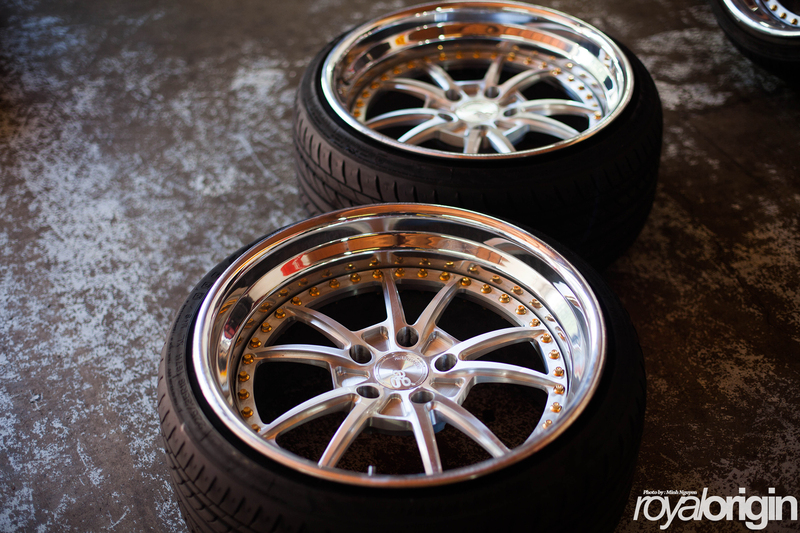 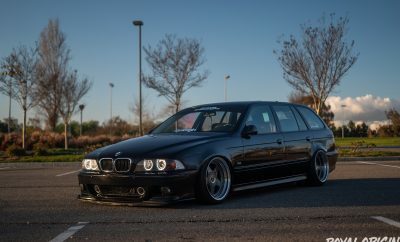 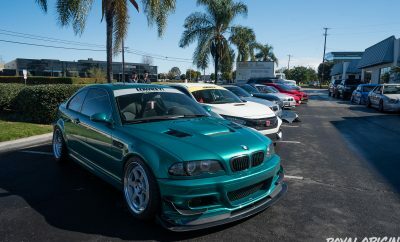 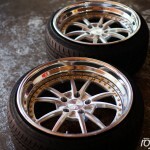 Wish I had the money for some BBS LMs. 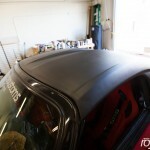 When we got back Jason had finished wrapping Kevin’s hardtop. 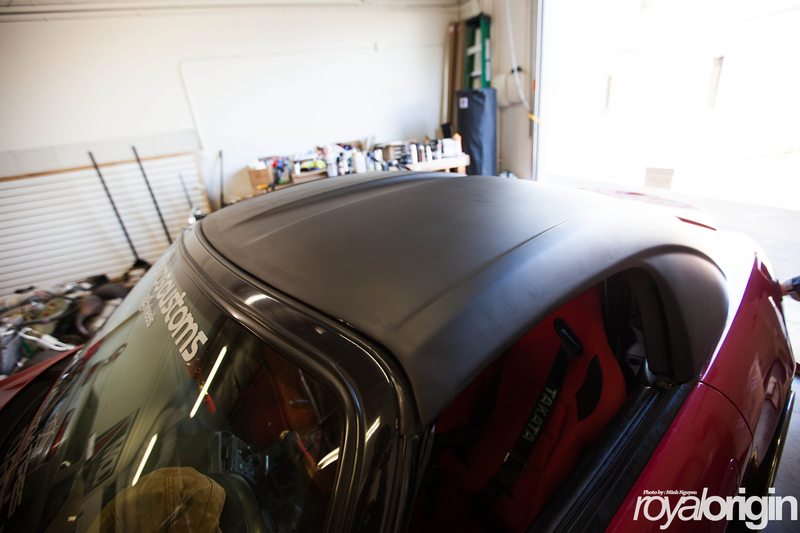 Check out that precision even making it two tone with the gloss black. 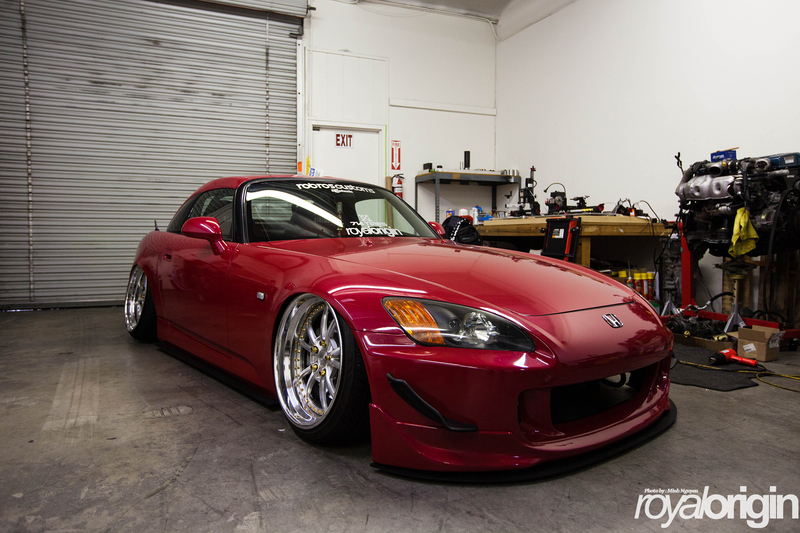 Kevin’s car has come a long way since his motor blew way back then. 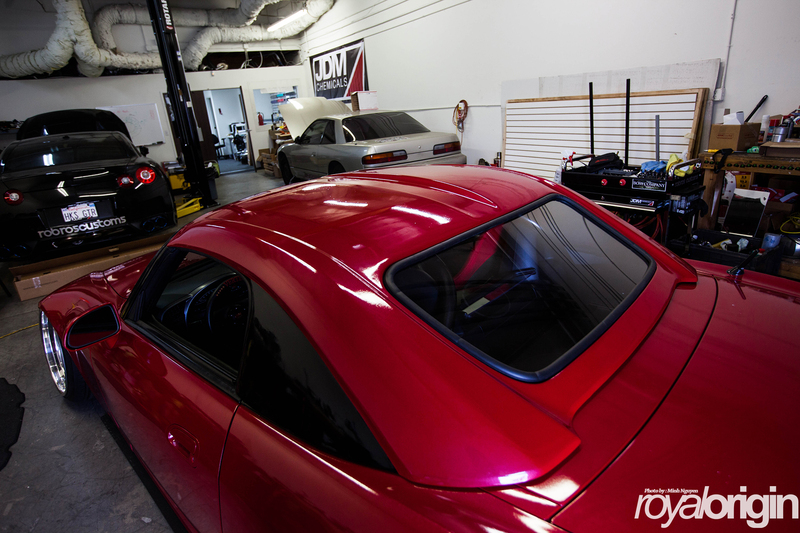 Glad to see the progression on this thing!